I can’t believe that it’s almost time for another Mother’s Day – one of my favorite days of the year! I can usually count on being pampered and feeling appreciated on Mother’s Day, which is probably why I love the day so much. I also love receiving homemade gifts and crafts that my kids have made for me for Mother’s Day. In fact, I still have a couple of the crafts that my kids have made over the years hanging in my bedroom because I love them and the memories of when they made them so much! 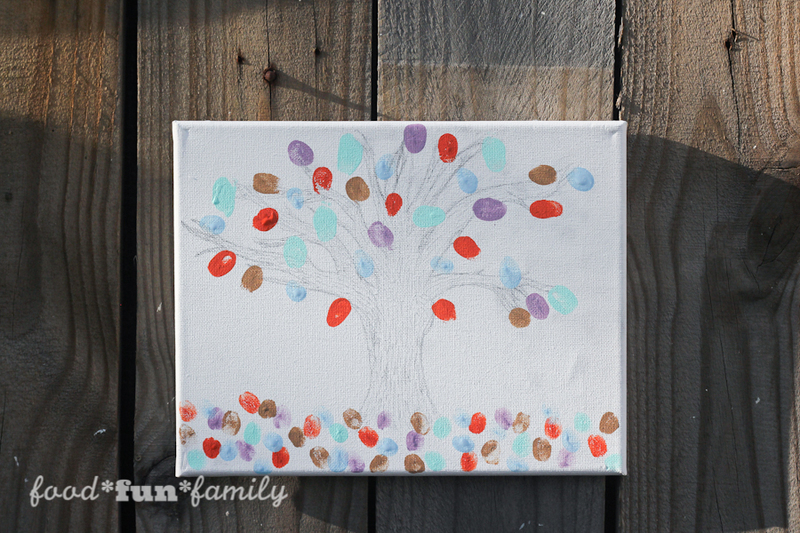 I came up with the idea for this thumbprint tree from similar projects that I have seen over the years on the internet. While it is not a completely original idea, I thought it turned out quite nicely for a quick DIY gift for a mom or grandma. 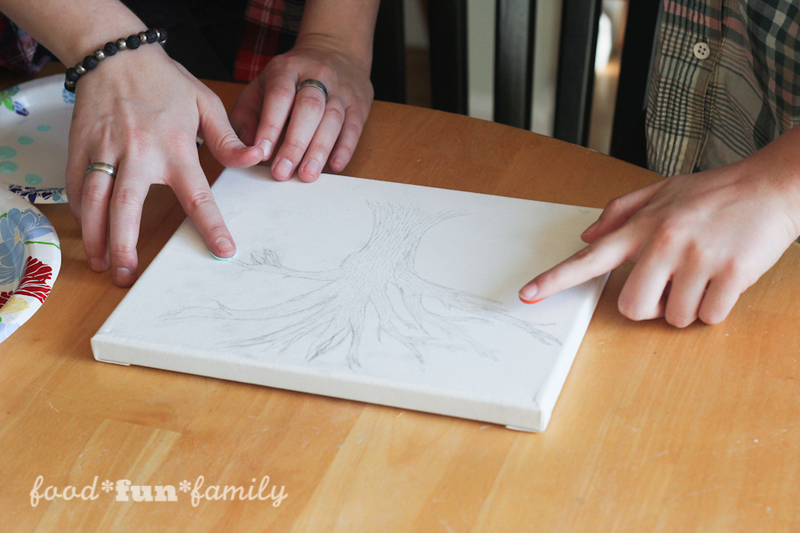 I’m obsessed with using blank white canvases to make DIY wall hangings and gifts. There’s just so much you can do with a blank canvas! Because my kids are teenagers, I had them help me make this Mother’s Day craft. I was pleased that it was easy enough for just about any age kids to be involved in (with some parental supervision) but that it turned out nice enough to display or give as a gift. 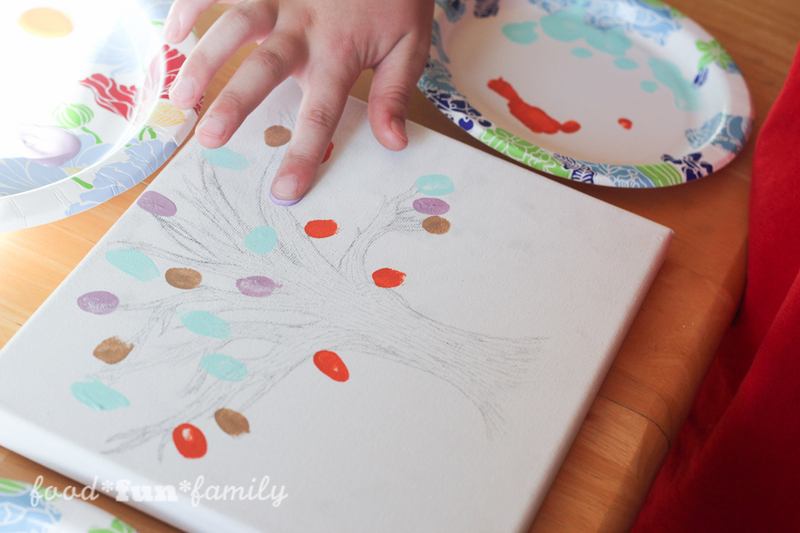 Want to see how easy this thumbprint tree was to make? 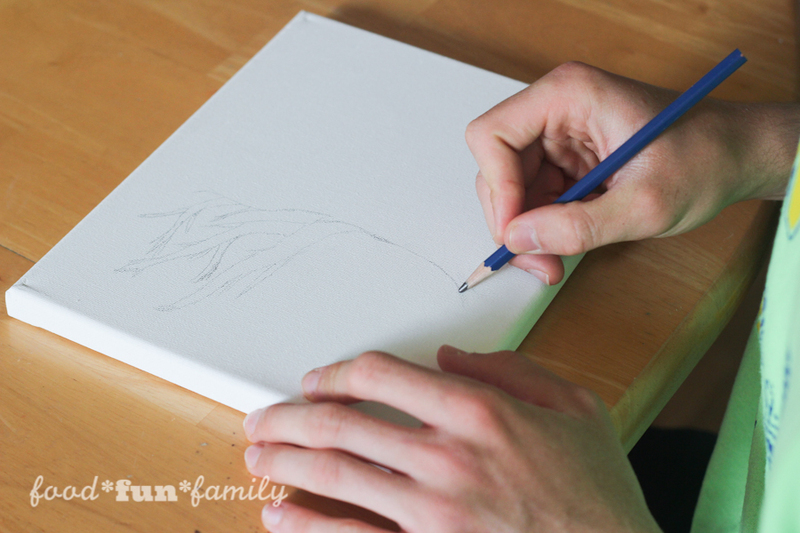 1 – Sketch a tree to cover the majority of the canvas. You can make your tree look however you’d like, but make sure you include lots of branches. I had my 16-year-old son sketch our tree, because I know he’s good at that kind of drawing. 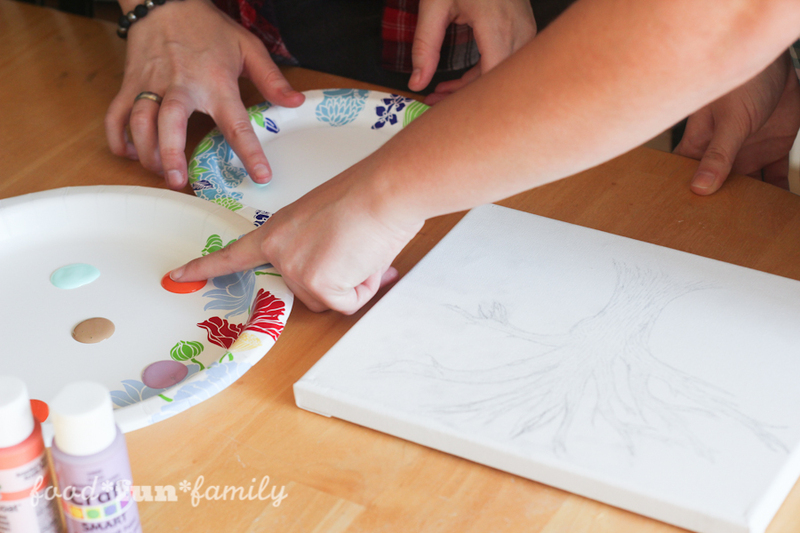 2 – Squeeze a small amount of paint onto a paper plate. 3 – Dip a finger into the paint and blot on the plate or paper towel until there is just a small amount of paint left on your finger. 4 – Make several finger prints on the branches of the tree and some at the base of the tree, if desired. 6 – Allow the paint to dry and then display on the wall or wrap it up as a gift! This would be such a cute idea for grandmother presents! Seriously, I love this so much!! 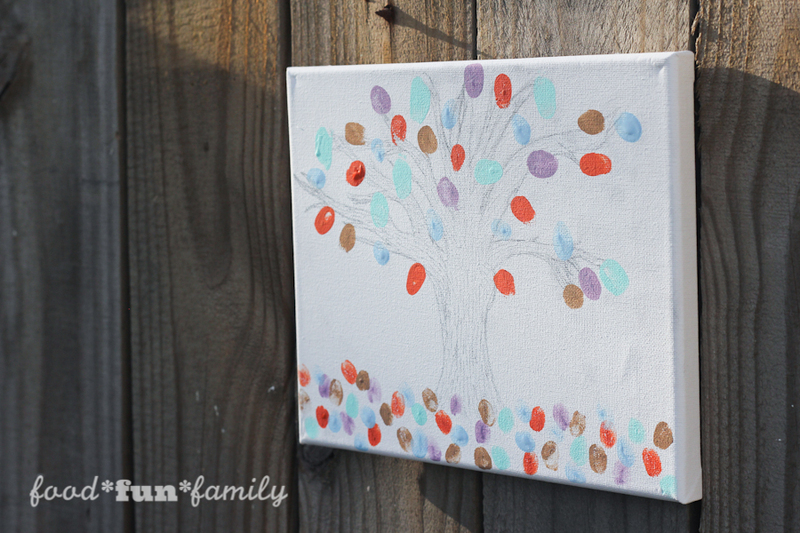 I would love to make one of these for myself and one for my mom with all the grand-kids’ finger prints. Adorable!! Super cute! What a great keepsake. This is such a sweet idea and makes a great keepsake! This is such a cute idea. I will have to remember this for next year for my grandsons to do for their moms. 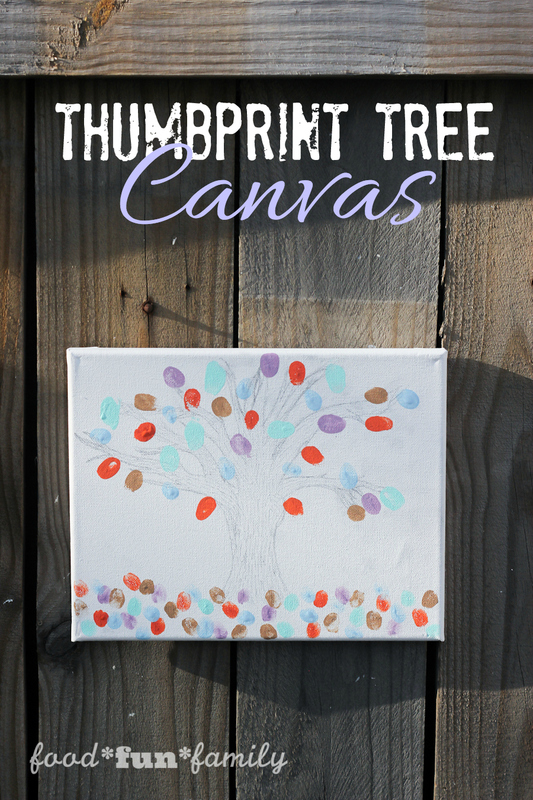 I think your Thumbprint tree canvas for Mother’s Day is gorgeous and you really made a great one. This would be great to hang up on my wall and see it from the kids! I really love this! 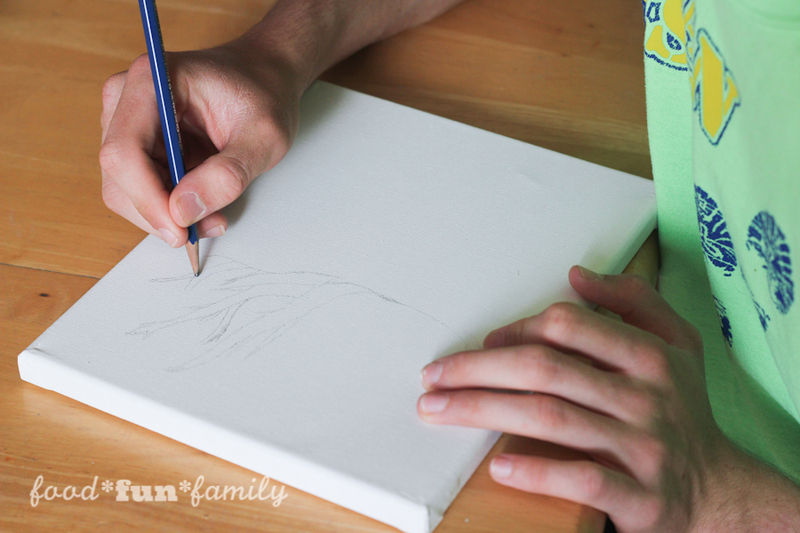 I think the idea of putting kids artwork on a canvas is great!